The unmistakable two-story high rhythm of exposed concrete and panoramic window wall makes The Jackson a true expression of the industrial aesthetic refined. Sun swept residences are seamlessly fitted with luxurious finishes and amenities to make for modern cosmopolitan living. Located in the heart of Long Island City, a blossoming waterfront community graced with serene public spaces, contemporary art galleries, high-end eateries, and diverse entertainment, The Jackson offers sweeping views of the East River and Manhattan skyline, and convenient transportation options to Midtown Manhattan and Northern Brooklyn. 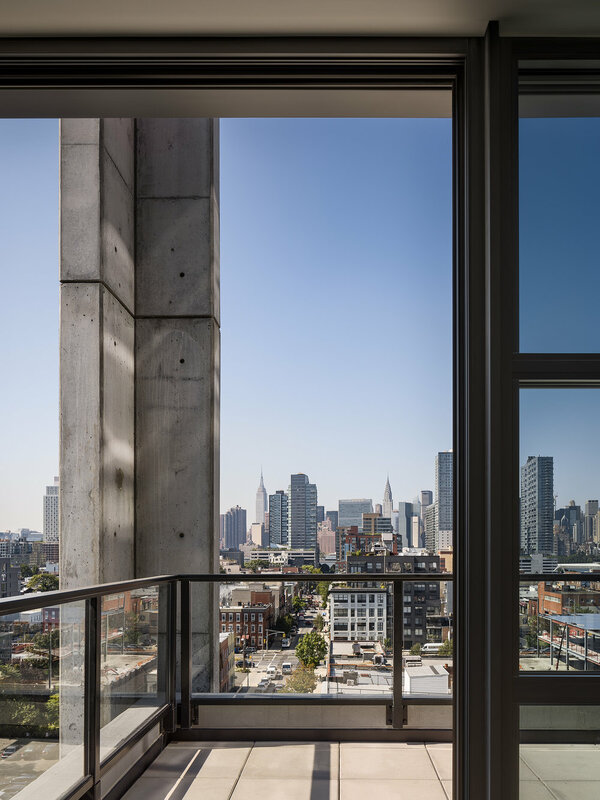 In all, The Jackson is not only a rare opportunity to own a home of equal parts substance & style, but also an invitation to rethink one’s standards of comfort and elegance in one of the most authentic and artistic neighborhoods in New York City.